You have chosen the best — Skin Care by Coreen. 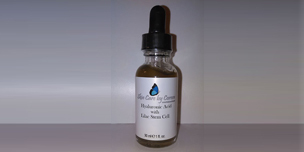 The first line of defense against all natural elements and pathogens is our skin. This is why it is so important to keep it healthy. People want effective skin care solutions. Coreen Mathe LE, CME has created several innovative combinations of treatments that will improve many different skin conditions. 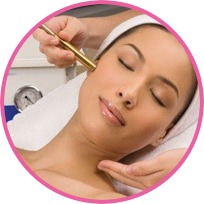 Coreen is a licensed surgical technologist, electrologist, permanent makeup artist and esthetician. 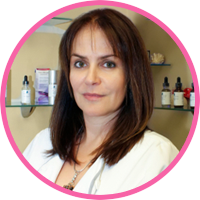 This wide array of knowledge and experience makes her the best professional to trust with your skin care solutions. Your skin needs attentive care, and these special offers are designed to target specific skin conditions. Take advantage of unique combinations of treatments tailored to your needs. These specials are available for a limited time only. Don’t let this opportunity pass you by. Call to arrange a free consultation for a program specifically designed for you. 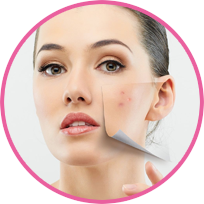 Skin problems vary for each individual and require an individualized solution to provide relief. 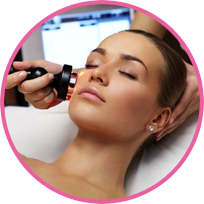 My clinic utilizes a vast range of skin and total body care services such as Signature Facial, Acne Facial, Ultimate Anti-aging Facial, Stem-Cell Facial, Laser Hair Removal, Permanent Makeup, Ultrasound Body Slimming and Cellulite Reduction. Best of all, you can select the preferred treatment(s) based on your needs and goals. 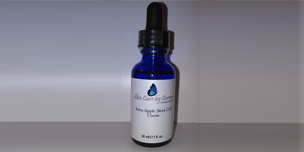 Quality products for effective skin treatments are essential — my clinic uses only the best. These products have been tested and have passed rigid quality standards. 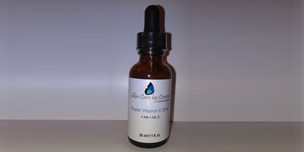 All products utilized by Skin Care by Coreen are unsurpassed in quality — Edelweiss Stem Cell (Nano) Cream, SymWhite Whitening Serum, Super Vitamin C 20% + HA + Vitamin E.
A gift certificate makes a terrific gift for a loved one for any occassion. They’re simple and easy! Just select the amount or the service, choose a design from the website, enter a message for the receiver — and you’re done. print it. It’s fast and easy! Join Skin Care by Coreen VIP Club to benefit from all the services and special discounts that are created to our valued members. Comfortable, state-of-the-art medical equipment and facility. We have the most effective skin care related services in Hollywood, FL. Take a look at our elite services from the videos below! Explore more insights about our services and products through these testimonials of our customers. Ladies stop doing fillers & Botox. I am being honest! I love to share good secrets! I have been doing my microdermabrasion with Ms. Coreen & I feel fabulous — have her explain the benefits & difference of facials vs filling your face with gels & fillers! I promise to never again get a filler & neither Botox! My face looks different. My wrinkles are gone. My face looks much better.